All LAS VERDES / VIBURNUM homes currently listed for sale in Delray Beach as of 04/21/2019 are shown below. You can change the search criteria at any time by pressing the 'Change Search' button below. "Awesome move-in condition 2/2 villa w/ level finished family room in highly desirable Viburnum section of Las Verdes. 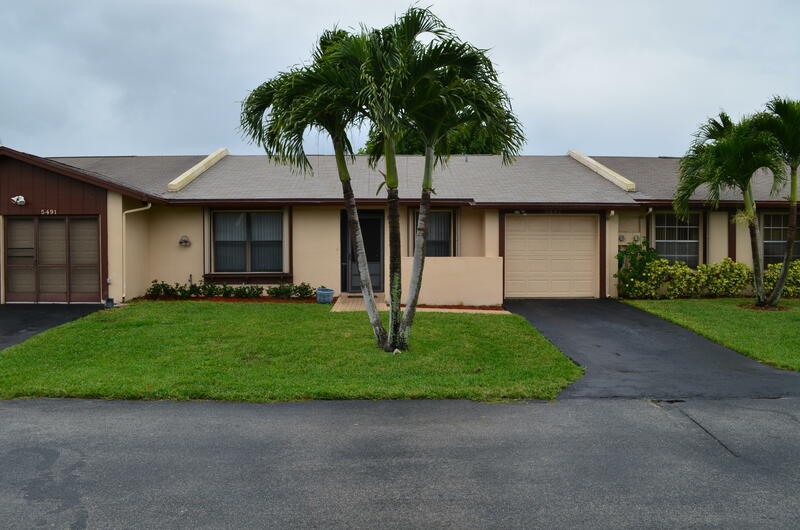 This wonderful home features a new roof in 2016, new windows, brand new water heater, remodeled master bathroom w/ all new tile work, vanity and commode. All newer appliance in the kitchen and laundry. Tile throughout except the master bedroom which is beautiful newer laminate. Vaulted ceilings and all newer light fixtures & fans add to the brightness and open feel of the home. New raised panel interior doors on bedrooms n baths. Extended closet in Guest Bedroom. New closet doors in both bedrooms. New motors on AC Handler & Garage Door opener. New countertop & sink in Guest Bath w/ new commode. Full Hurricane protection w/ Accordion Shutters throughout. A MUST SEE TODAY"